Infectious bursal disease (IBD) disease is caused by infectious bursal disease virus (IBDV) of the genus Avibirna-viridae and family Birna-viridae. 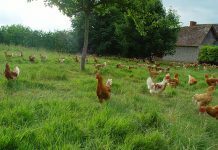 IBDV is found worldwide and, depending on the virulence of the strain causes mortality in chickens three weeks or older and prolonged immunosuppression if birds are infected in early life. IBDV was first reported in Australia in 1974 and has been the subject of considerable research conducted since then. All Australian strains are classified as IBDV classical or variant strains and are genetically different from overseas strains. 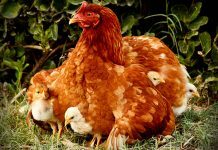 Australian broiler chickens are protected by maternal immunity provided by breeder vaccination. As part of studies on the in vivo characterization of Australian IBDV strains the Authors aimed to determine the effects of age at challenge (zero or 14 days) with IBDV Australian variant strain 02/95 in commercial broiler chickens on the persistence of IBDV in the bursa of Fabricius (the main target organ of the virus), the shedding profile of IBDV in faeces, the serum profile of anti-IBDV antibodies and the detection of IBDV in litter and dust samples collected from infected groups. 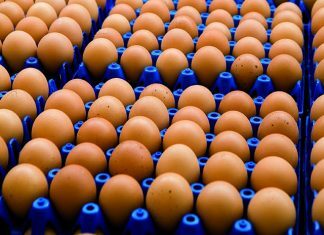 Australian endemic IBDV serotype 1 variant strain 02/95 was quantified using qRT-PCR in bursal tissues of commercial broiler chickens inoculated orally at days zero and 14 of age and maintained to 28 days post infection (dpi). High levels of viral RNA were detected at 7, 14, 21 and 28 dpi in birds challenged at day 14 but only at 21and 28 dpi in birds challenged at day zero. Challenge at both ages induced a significant antibody response relative to unchallenged controls. Virus was detected in faeces prior to day 7 and again at 28 dpi in both challenge groups, but not during the intervening period. IBDV was also successfully quantified by qRT-PCR in poultry dust and litter from the infected groups. 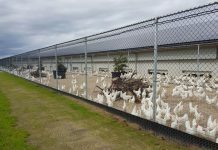 The experiment was conducted in two chicken isolation sheds located at the University of New England. The experiment utilized a 2 x 2 factorial design with two levels of IBDV challenge (IBDV infection and uninfected control) and two ages of infection (days zero and 14). Two batches of 30 Ross broiler chickens (Baiada Poultry, Tamworth, and NSW) 14 days apart in age were used, with half the birds in each group challenged with IBDV and half not challenged. Challenged groups were orally infected with IBDV serotype 1, variant, Victorian- origin, Australian field strain 02/95 at a dose of 105 CID50/chick in 0.2 ml of PBS on the same day while negative controls were dosed sterile PBS. Infected and control groups were kept in separate sheds with the two age groups separated by a partition within each shed. Six birds from each treatment group were colour marked for a longitudinal study. Faecal samples from those colour marked birds were collected at 2, 3, 4, 5, 6, 7, 9, 12, 14, 16, 21 and 28 post infection (dpi). Blood samples were collected from the marked birds at 7, 14, 21 and 28 dpi for the detection of antibody (Ab) against IBDV in sera using ELISA (ProFlock® Synbiotics San Diego, USA). At 7, 14, 21 and 28 dpi three unmarked birds from each treatment group were sacrificed to collect bursa. Dust samples were collected in settle plates from each group for quantitative reverse transcription polymerase chain reaction (qRT-PCR) quantification of IBDV at 7, 14, 21 dpi and litter samples at 7 and 14 dpi. Collected bursa, faeces and environmental samples were stored at -80°C. Extraction of viral RNA from tissues and dust was done using the Bioline Isolate II RNA Mini Kit (Bioline Aust Pty Ltd, Alexandria, Australia) and from faecal and litter samples using the Thermo Scientific GeneJET viral DNA and RNA Purification kit (Thermo Fisher Scientific Inc, USA). The RNA extracted from all samples was quantified using a NanoDropH ND-1000 UV-Vis spectrophotometer (Nano-DropH Technologies, Wilmington, DE, USA) and stored at -80°C until used for IBDV qRT-PCR assay. 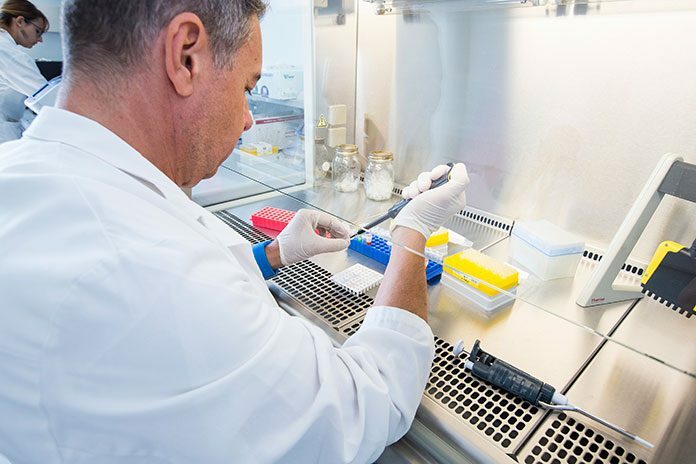 IBDV viral genome copy number was quantified from all extracted RNA (bursa, faeces, dust and litter) using a TaqMan® IBDV specific qRT-PCR assay developed and validated by Authors based on the sequence data for IBDV VP2 of Ignjatovic and Sapats (2002) and carried out in a Rotor Gene 3000 Real-time PCR instrument (Corbett Research, Mortlake, NSW, Australia). A standard curve based on plasmid standards of known genome copy number was used for absolute quantification. Appropriate statistical analyses were carried out using JMP®10 statistical software (SAS Institute Inc, NC) with results presented as least squares means ± SE with a significance of level P < 0.05. Clinical observation of all challenged and control birds were made twice daily. No deaths were reported during the experiment and birds were clinically normal. Repeated measures analysis of Log10 anti-IBDV titre revealed that challenged birds had significantly higher titres than unchallenged birds (2.52±0.14v., 1.73±0.14, P=0.0004) and there was a non-significant trend (P=0.07) towards a higher level of antibody in birds challenged at day 14 (2.30±0.12) than those challenged at day 0 (1.94±0.15). There was significant interaction between the effects of challenge and time after challenge (P=0.02) reflecting decreasing antibody titres in control birds and increasing or high levels in challenged birds over time (Figure 1). Analysis of IBDV viral copy number (VCN) in bursal tissue revealed significantly higher levels in birds challenged at day 14 than day zero (P= 0.022), a significant increase in load over time following challenge (P=0.031) and a significant interaction between these effects (P=0.015, Figure 2). In chicks challenged at day zero viral load was very low at 7 and 14 dpi, increasing thereafter. In chicks challenged at day 14 load was highest at 7 dpi and declined slightly at each sampling up to 28 dpi. No virus was detected in control birds of both age groups. Analysis of Log10 IBDV VCN in faeces revealed no overall difference between birds challenged at days zero and 14 (P=0.75), but a significant effect of time following challenge (P=0.004) and a significant interaction between these effects (P=0.040). Both groups of chickens shed detectable virus in faeces prior to 7 dpi but not from 7 – 21 dpi. At 28 dpi IBDV was again detected, with significantly higher levels in day 14 challenge group. IBDV was detected in dust samples from the challenged shed with mean log10 (VCN/mg dust+1) of 4.36, 2.96 and 2.17 (SEM = 0.35) at 7, 14 and 21dpi respectively. Litter samples collected from the 14 day-old challenged birds contained 5.83 and 3.54 x 10^3 VCN/g litter respectively. The equivalent values for samples from the day zero challenged group were 525 and 0 VCN/g litter. Replication of IBDV in the bursa was inhibited for at least two weeks in chickens challenged at hatch, relative to those challenged at day 14. This is most likely due to the presence of maternal antibody directed against IBDV. Antibody titres in control birds fell by more than one log between days 0 and 14 and appeared insufficient at day 14 to prevent rapid viral replication. Viral load profiles following challenge in the day 14 challenged broilers were similar to those in maternal antibody negative specific pathogen free (SPF) chicks challenged at day 0 in a previous study. Interestingly, in chicks challenged at hatch, viral load levels in the bursa by day 21 reached levels as high or higher than those observed in the birds challenged at day 14, suggesting that the effects of maternal antibody are to delay rather than completely inhibit viral replication in the bursa. In the present study IBDV was detected in bursa up to the end of the experiment at 28 dpi. This is longer than the detection periods of 14 and 21 dpi in commercial broilers challenged with variant IBDV, but shorter than the 42 dpi reported by Elankumaran et al., (2002). 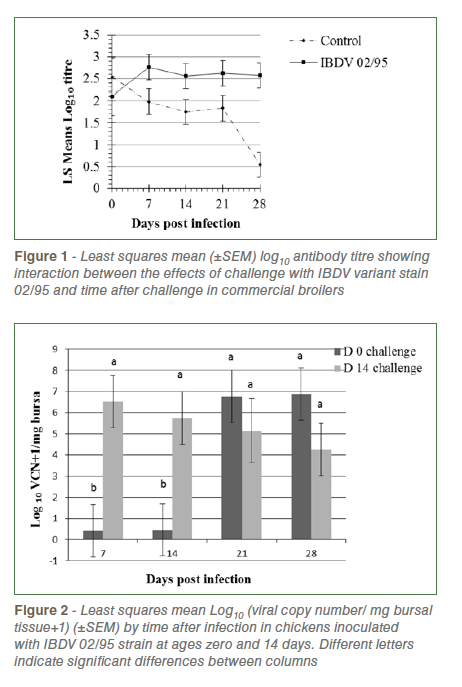 Early shedding of IBDV in faeces as observed in the present experiment has been reported in infected SPF chickens but the detection of virus at 28 dpi after absence for the previous three weeks is a novel finding. The significant viral loads of IBDV found in dust collected at seven, 14 and 21 dpi from infected shed is in agreement with earlier reports of IBDV detection in dust and suggest that dust could be an alternate sample for disease monitoring as applied in Marek’s disease surveillance. Significant amounts of IBDV RNA were also detected at seven and 14 dpi in litter samples from the day 14 challenged group, but little or none from the than day zero challenged group. Higher anti-IBDV antibody titres were detected in both challenged groups than their controls indicating an active immune response to challenge in both groups. The Authors conclude that delaying IBDV challenge from hatch to 14 days of age significantly enhanced viral replication in the bursa post challenge, and shedding in faeces, but did not alter the development of an active immune response or peak levels of IBDV in the bursa. These effects are more probably mediated by a decline in passive immunity due to maternal antibody, than by a true age effect. The latter is currently under investigation. The Authors also conclude that the presence of IBDV can also be monitored in environmental samples such as dust and litter using RT-qPCR methods. Acknowledgments: The Authors acknowledge the Australian Poultry CRC and University of New England for providing funds for the research, Dr. Sandra Sapats and Dr. Gaylene Gould, Australian Animal Health Laboratory, CSIRO, Geelong for providing them the IBDV 02/95 strain and Ms Sue Burgess for technical support.